Conference: Law enforcement officials talk together before a press conference Thursday afternoon. 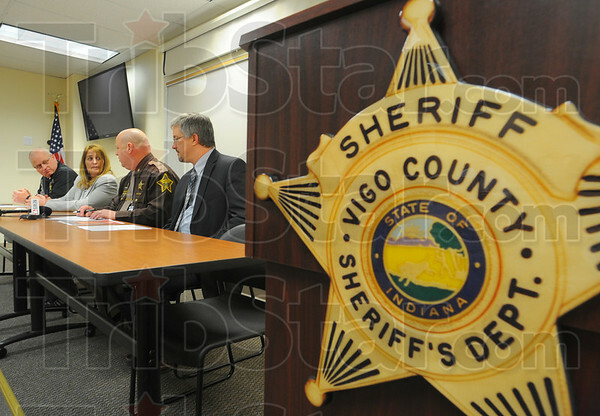 Present were Vigo County Sheriff’s department Captain John Moats, Det. Karen Krockenberger, sheriff Greg Ewing and chief deputy prosecutor Rob Roberts.